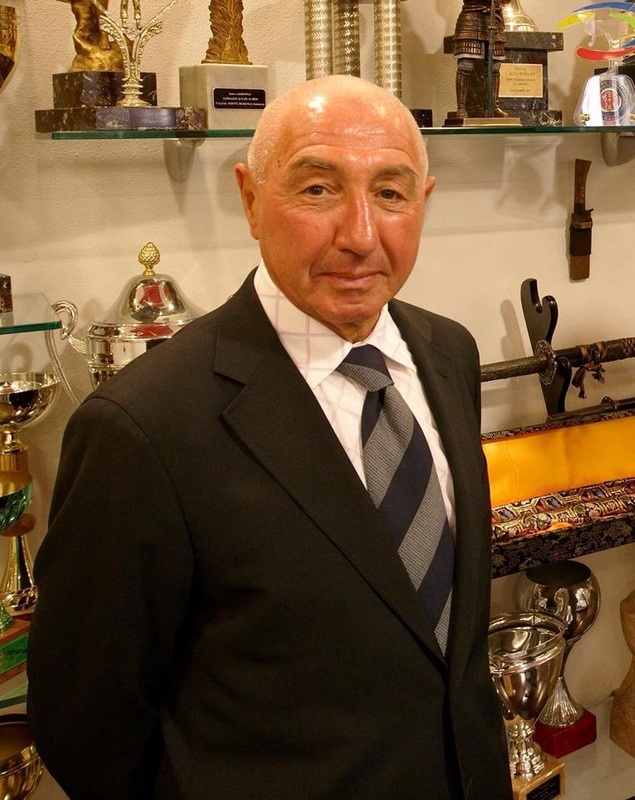 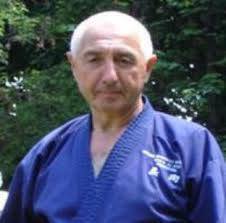 Mr.Bertoletti started the “martial” training when he was 12 years old with the Graeco-Roman wrestling and the fencing (foil). 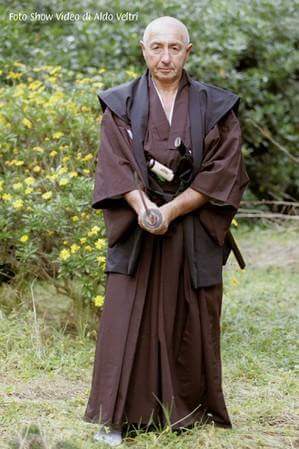 He starts practicing karate Shokukai, that will develop in Sankudo and Sankukai with Master Jean Michael Baroche, one of the first black belt students of Master Yoshinao Nanbu in 1961. 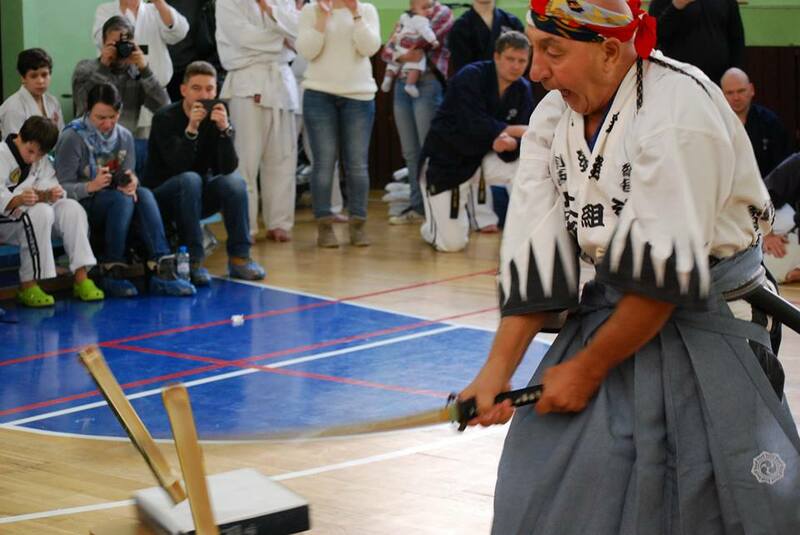 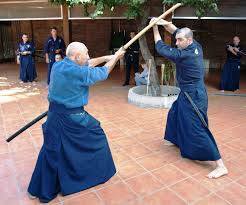 He practices judo and kendo, but above all ju jitsu of Japanese origin Yoshin Ryu. 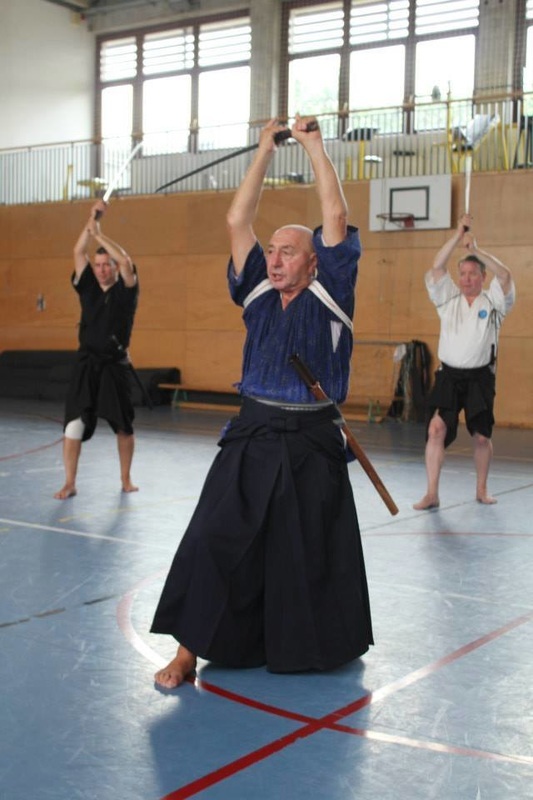 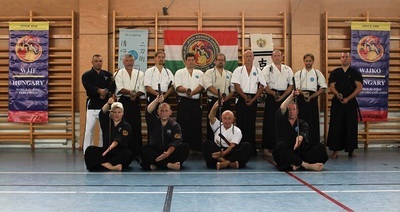 He also practices Shotokan in the school of Master Hiroshi Shirai (yudanshakai) and Masaru Miura, and Shito with Sō Shihan Ogasahara Eiji (Kenshukai). 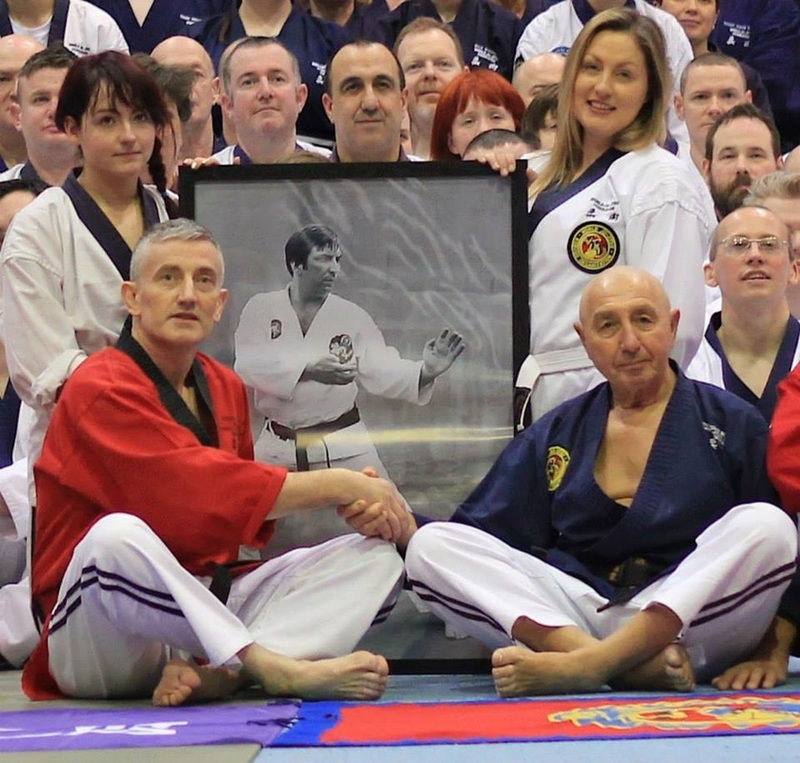 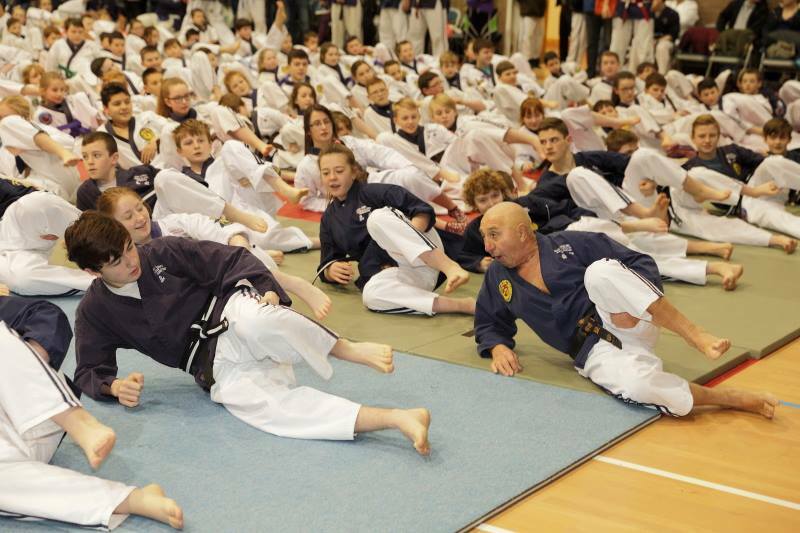 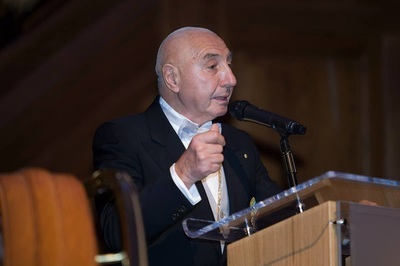 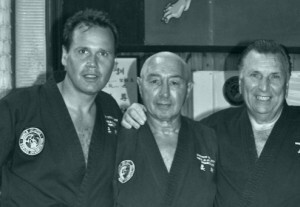 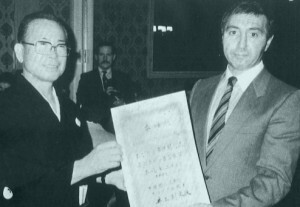 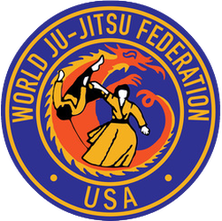 In 1976, with the foundation and leadership of the WJJF (World Ju Jitsu Federation) with Soke Robert Clark, he started his long trips in Japan and he joins the school Hontai of Saburo Masanori Minaki, 17th Patriarch, thanks to the presentation of Sō Shihan Eiji Ogasahara, where he remains until Soke Minaki’s death (1986). 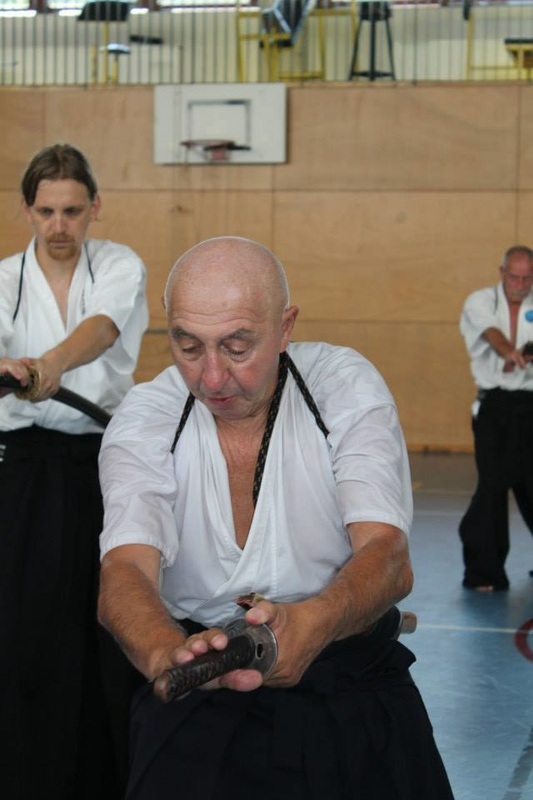 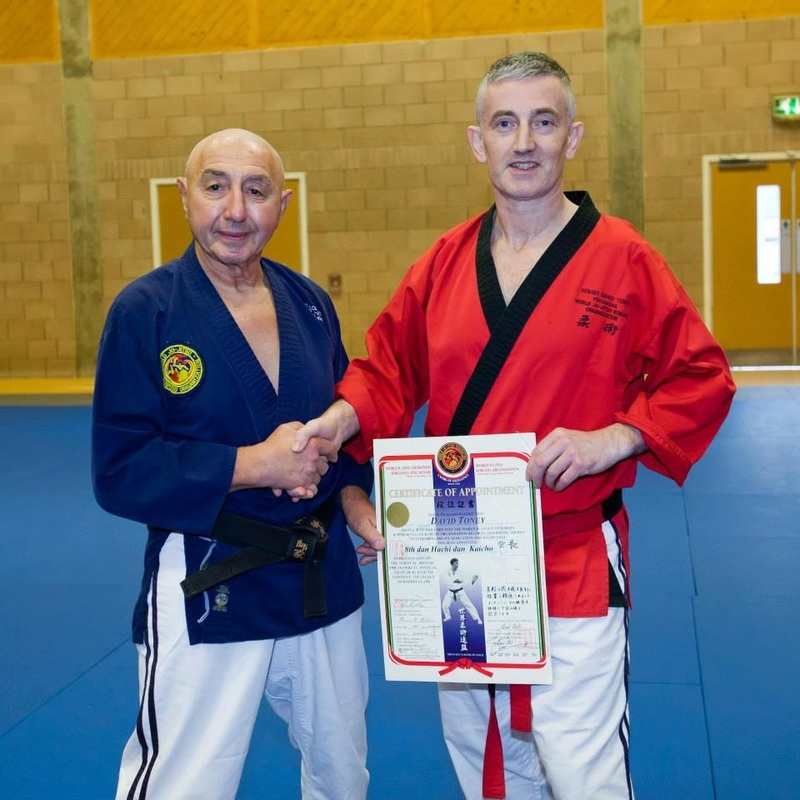 He received the 7th dan Kyoshi in 1984 by the same Master Sabuno Minaki, with whom also Soke Fumon Tanaka (Nippon Koden Kobudo) trained in secrecy. 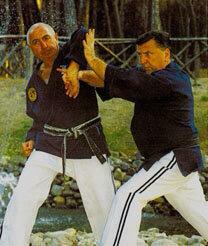 In 1997, he earned the 8th dan by Soke/Sosai Kunio Tatsuno of the Sheshinkai of Osaka. 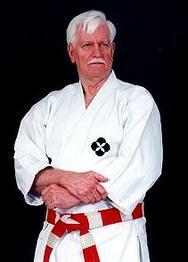 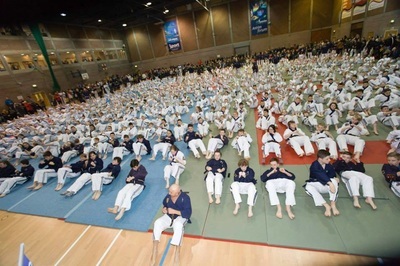 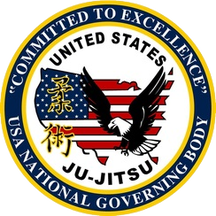 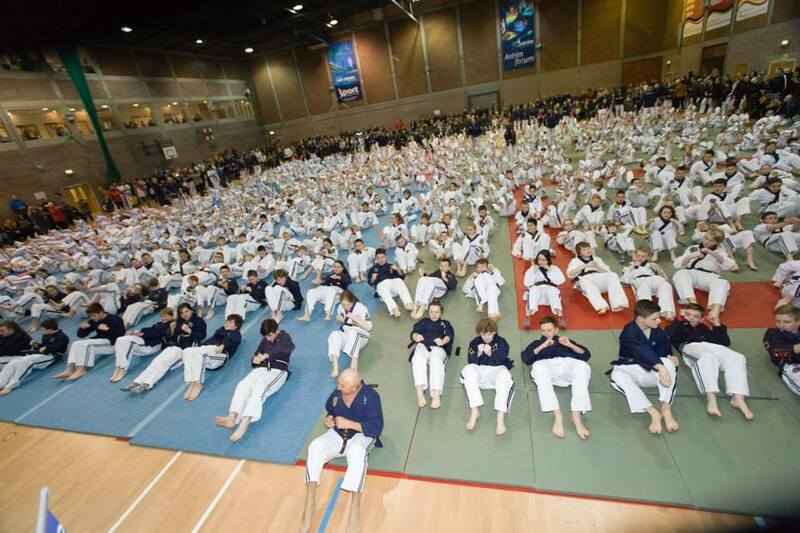 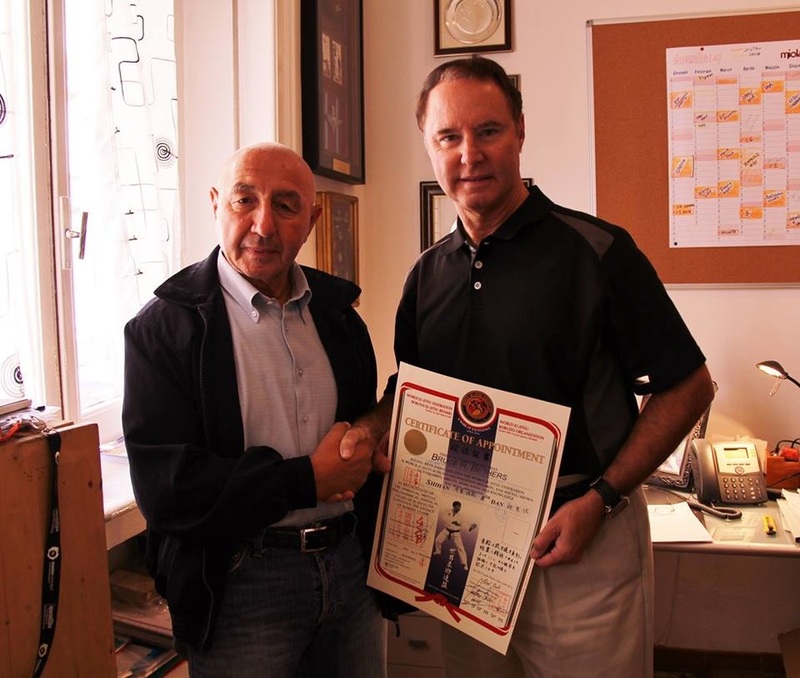 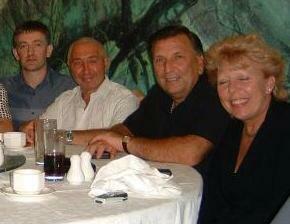 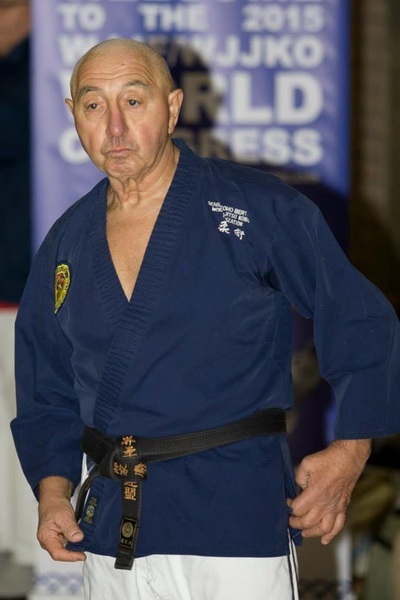 In 2004, President Paul Hoglund (President of JJIF, Ju-Jitsu International Federation) issued him the 9th dan. 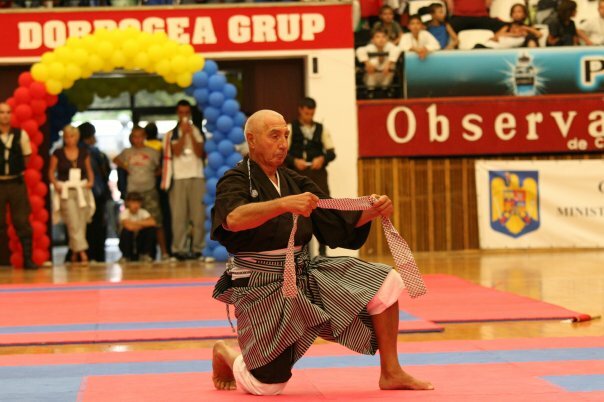 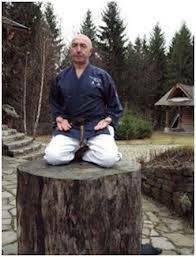 His career culminates on April 2005 (Venice) in the grant of 5th Shike title of the school Koden ENSHINRYU Honmon ENSHINRYU-BUJUTSU, honorary and dynastic title that only a few western persons can get.